simple operation , and easy maintenance. 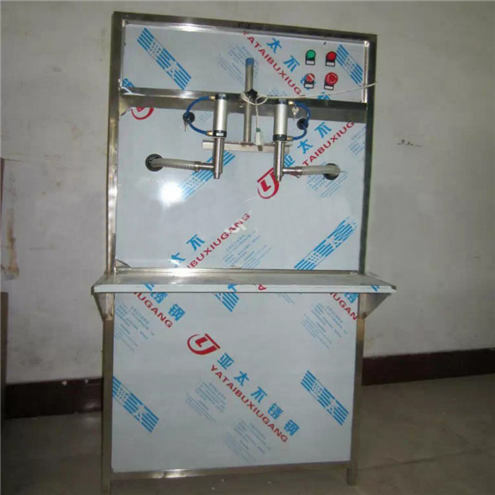 The filling machine applies high quality SUS304 stainless steel material, meeting health requirements. 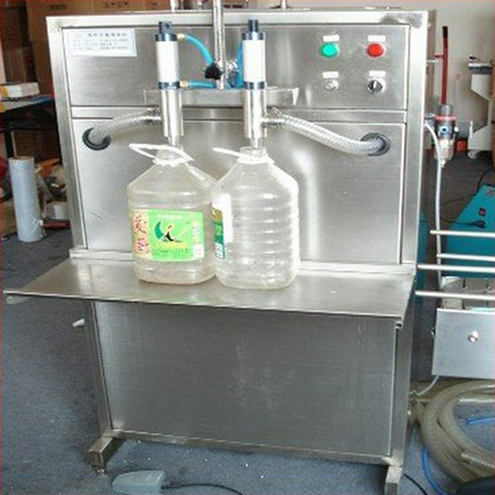 Filling process is isolated from the outside world , to ensure filling hygiene requirements. 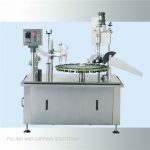 The filling speed can be adjusted to eliminate the phenomenon of the overflow bottle. 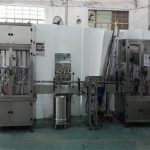 White wine, mineral water, laundry detergent, liquid detergent, polishing and so on edible liquid filling and pesticide chemical liquid.Not limited by bottle type. 1. 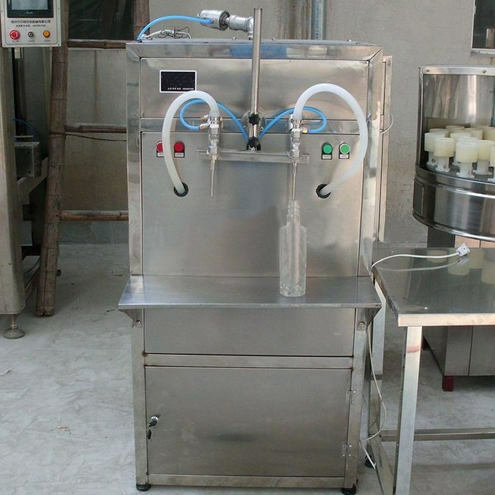 Composite double tank, can fill two different kinds oil, avoiding the unnecessary cleaning step because of changing oil type. 2. 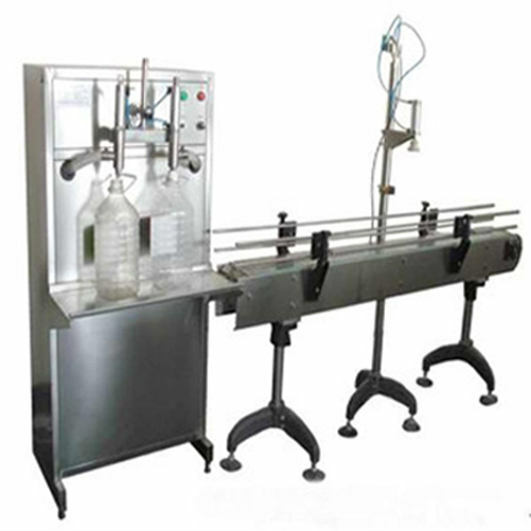 High-precision volume metering pump device, quantitative accurate and reliable. 3. 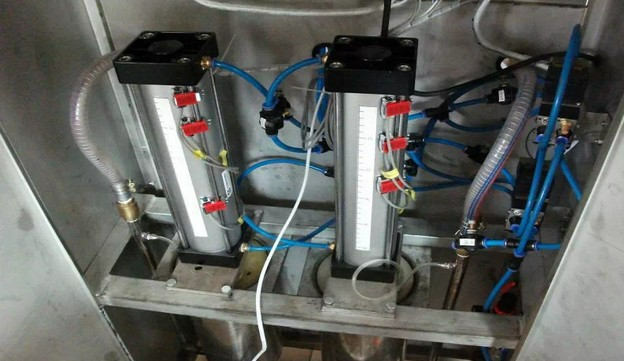 Using imported sealing device, plus an effective anti-drip measures to ensure no leakage at the scene. 4. The filling capacity is easily set and can meet the requirements of different filling capacity. 5. 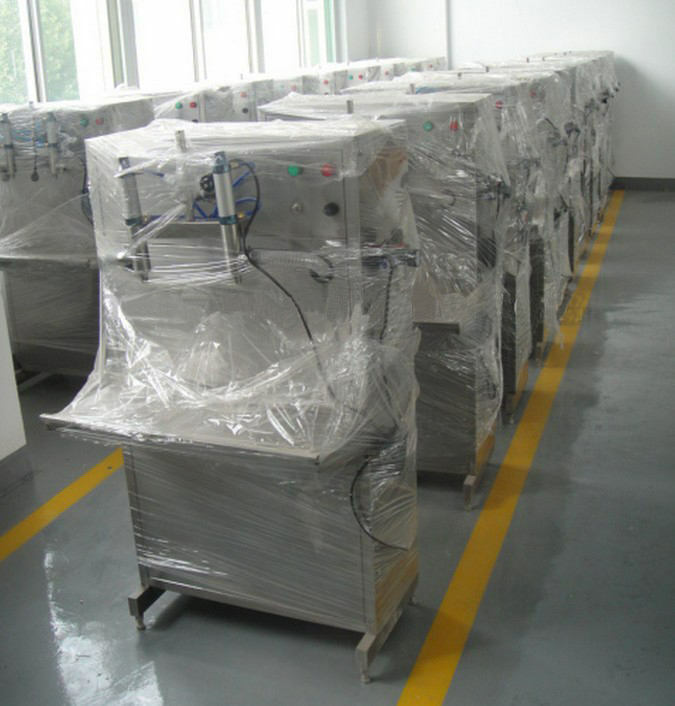 Promise speed conveyor system meets production required. 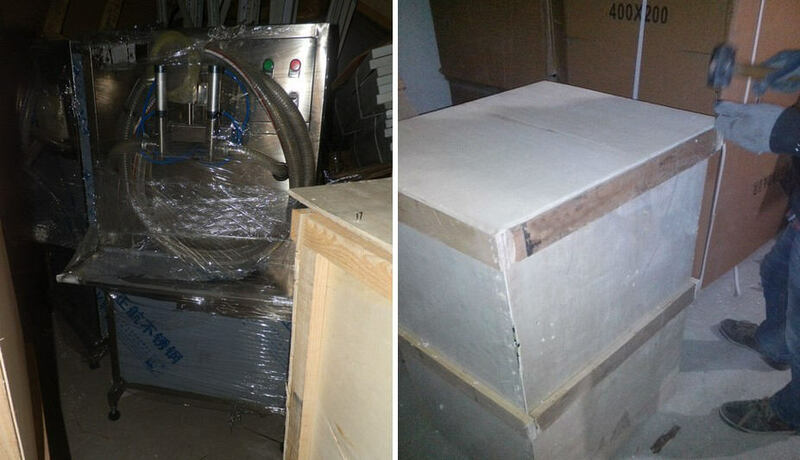 (stainless steel conveyor belt, and its length can be customized). 6. 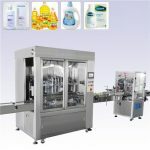 Beautiful appearance, high filling accuracy, easy to adjust and operate. 7. 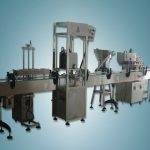 Light sensor automatical capper, compatible with different specifications, different shapes of bottle, press accurate, with little noise. from the united states and advanced Europe countries. Our CPU is the product of Siemens or Omron. The whole filling process has almost reached the level of onebutton operation. 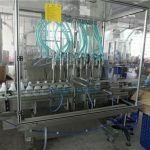 Because of the high performance of our oil filling machine, it has successfully entered the EU market.